SMALLbox is a new foundational framework for processing signals using adaptive sparse structured representations. The main aim of SMALLbox is to become a test ground for exploration of new provably good methods to obtain inherently data-driven sparse models, which are able to cope with large-scale and complicated data. The main focus of research in the area of sparse representations is in deveoping reliable algorithms with provable performance and bounded complexity. Yet, such approaches are simply inapplicable in many scenarios for which no suitable sparse model is known. Moreover, the success of sparse models heavily depends on the choice of a “dictionary” to reflect the natural structures of a class of data. Inferring a dictionary from training data is a key to the extension of sparse models for new exotic types of data. SMALLbox provides an easy way to evaluate these methods against state-of-the art alternatives in a variety of standard signal processing problems. This is achieved trough a unifying interface that enables a seamless connection between the three types of modules: problems, dictionary learning algorithms and sparse solvers. In addition, it provides interoperability between existing state-of-the-art toolboxes. 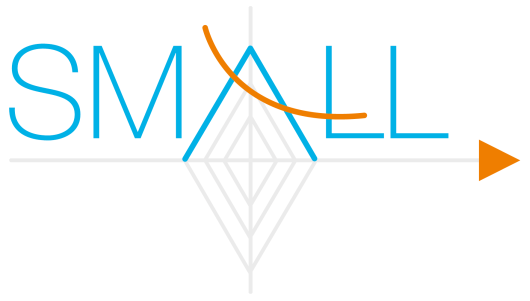 As an open source MATLAB toolbox, the SMALLbox can be seen as a tool for reproducible research in the sparse representations research community. This work was supported by the European Community’s FP7-FET Program, SMALL Project, under Grant 225913.